I was reading a book yesterday about secular saints. The author commented on how many saints are priests, nuns, monks...and made the point that it is not necessary to be in religious life in order to be a saint. True statement. Today's feast is a celebration of that fact. We are, each of us, called to sanctity of life. We each have a unique path to God and show forth his glory in an unrepeatable manner. So then, why so many nuns and brothers and priests and sisters... in the rolls of the saints? Because that's our career. If we aren't saints, we're slacking on the job. The "way of perfection" does not mean that everyone who enters religious life is perfect (don't we wish!) or holy (ditto!). What it means is that those who undertake this life and serious about going directly to God without hindrance. They take up the challenge of holiness, strip themselves of anything that can hold them back (possessions, people, their own will) and determine to live a lifestyle that maximizes their chance for sanctity. That's what religious life is about - the choice of holiness as a profession. I spend a lot of time listening. There is a sadness and a restlessness in the human heart - and in a society that is so very advanced and in so many ways, still the sadness is there, the alienation is there. We see the restlessness everywhere. People running away from each other, breaking relationships, hurting each other, and ultimately, running away from themselves. And God sees it. He waits to redeem each human running, hurting, sorrowing heart. He calls people to help him. He calls women to mother his people. We are each of use called to be saints. That's the simple truth. Only saints have the power to love people into happiness, into joy, into peace. Because saints touch God and touch people. As women, we are called to be mothers. If wed, to be mothers of concrete physical children. If virgin, to be mothers of concrete spiritual children. He calls us to hold the world in our hearts. Those he calls to be religious are not exempt from motherhood - it just moves in a distinct sphere. We mother by loving the children God has given us, those sad, sorrowful, restless, broken people he leads into our lives. We are drawing to the end of our Fall events at the House of Formation. Some of them have been more popular than others, so we're looking to see what we should continue for the Spring and Summer and what can fall away. Since you who look at this blog are interested in things religious life-like, we would very much appreciate your input. Please fill out the survey below to assist us with planning. That was a long period of breathing. But if you've done the work, the writing, the talking, the discerning, the looking for information, the pondering, then you've done your piece. It is up to the Lord. He said to ask. Better, he promised to answer. He meant it. He means it. He gives each of us a unique vocation. Some he calls to marriage. Some he calls to religious life. Some he calls to be a leaven in the world, serving him in the unique situations of career and friendships. If we ask, and if we listen, he will tell us where he calls. You know, God loves you. And scary as this all is, it's a good idea to take a minute to stop and pray and breathe. Take some time off of life-commitment-search. Read a good book. Pray a bit. Ask him about his interests for your life. Listen. Spend time with friends. Because it is so easy to get so wound up and so stressed. And there is no reason to be afraid or stressed or worried. God has a plan. You're seeking his plan. And that is enough. He will let you know your place, his call, the saint he is calling you to be. Asking questions does not mean a lifelong commitment. Go ahead. Write for information. Fill out the little cards. Send the e-mail. Send lots of e-mails. It can be overwhelming. There is so much out there. Hone your description of "my perfect community" as you learn more about the way religious life is lived. Then find the communities that fit your description. It does not have to be dramatic. It is usually as simple as "coming home." Feelings like "I liked it there" or "I felt at home" can be really strong indicators. I once went to visit a Dominican community. They were great. I liked their lifestyle, their habit, their chapel. It was wonderful. And I left knowing in my gut that I was not called there. As much as I liked it, I knew that it was not my home. I've heard the same from other women in their search. Don't be afraid of that. If you visit a community and it just does not settle, that does not mean you are not called - just that you are not called there. But how to figure out even where to look. Write down what you feel drawn to in religious life. What is important to you in your call as you understand it. If you are still really vague, that's okay. But start "creating" your ideal religious community. A priest once told me that he did this during his discernment process and ended up recreating the Jesuits. So he became a Jesuit. If you don't know, surf. Look at websites, ask yourself what draws you about the different orders. You're not looking for one yet, you're looking for things that seem to be part of God's call for you. What repels you? Even more importantly, why don't you like it? Take your time. This can go on for a bit. It's hard nowadays. Maybe it always was. But it seems that bringing up the possibility of becoming a Sister is met with so much disbelief and opposition ("Are you CRAZY?!?) that it is terrifying to think about talking about it. And of course, if you say something to a priest or a Sister, it makes it so real - like you have already decided to take the step - that that is even more frightening. When girls and women talk to me about it, it is almost like they are confessing to a crime. "I think I might have a vocation." It's on the level of terminal disease. It does not have to be that way. And for those who are thinking about it as a possibility - and that is where it always starts - find someone to talk to. Preferably someone who knows what she (or he) is talking about. Many priests do not have a great deal of experience with religious life. They may know one or two communities, but most have not had extensive experience. If they are lucky, the have resources to which they can refer women. Good options are vocation directors of communities. Of course, they tend to have a lot of experience with their own spiritual family, and limited knowledge of others, but there is a good deal of networking going on out there. Often too, the diocese will have someone on staff who has access to information about religious life. There is the Internet. I thought that was a great resource, but as I meet with girls and women I find that the amount of information is overwhelming. There's too much to digest. "I think I might be called - how do I figure out which one of the three thousand congregations listed is 'for me?'" Unfortunately, God gave us freedom. Even more unfortunately, he respects it. So he always leaves us loop holes. We always have to make a choice. People say they like that. But when it comes to the big decisions in their lives - much of the time, they'd really rather someone just told them what to do and let them do it. At least, that's been my experience. We are gifted with free will. So the call to religious life is almost never given in a vision or a locution or God coming down, hitting us on the head and saying "Hey you - yes, you - this is what you're supposed to do if you want to do my will for your life." No, it is much more subtle. There is the negative discernment - am I capable of living the life? After answering yes, that doesn't mean that you should - or have to. No, just that the first hurdle is past. There is the draw. It's gentle. It's internal. It's quiet. Do I like to pray? Do I like "God stuff?" Does the idea of religious life fascinate me? Not that I would admit it. (Okay, so yeah, I like the Sound of Music.) Am I drawn to it? (Again, I'd die before admitting to it.) Do I think that habit is cool? The second point is suitability. We all have dreams, ideals, flights of fancy. Young people, especially, want to fly. And that is a very good thing - we'd never have saints if people never aspired beyond mediocrity. When it comes to the call of God, we have to be a bit practical. God does not call a fish to be a bird. If a certain life is impossible for me, I am not called to live it. Period. That is an amazingly freeing thought. If I can't do it, he does not expect me to. Now, that does not mean that he won't ask demanding, difficult, top-of the bar. Not in the least. But it does mean that if I have something in me or in my life that makes a certain form of life impossible for me, then I should not even give it a second thought. So what are the pre-requisites for religious life? Good physical, mental and moral health. Appropriate maturity. Those are the basics. If I do not have good physical health, a demanding physical regimen is not going to work (and religious life requires it). If I have serious mental health concerns, the challenge of silence, the work of prayer and the stresses of common life are going to be beyond me. If my moral life has been a shambles and I am just stepping on to the path of virtue, the demands of "the way of perfection" will be more that I am up for. Does that mean I am not called to be a saint? In no way. It may very well mean, however, that this particular path is not God's call for me. How does one discover the call? I get that question a lot. In many and varied ways. There are as many ways to find a vocation as there are people to find them. It makes sense, God created each of us unique and has a particular call for every life. The first and most important thing is prayer. Talk to the Lord. Ask him what he wants. It can be in the presence of the Blessed Sacrament. I always like that - you are talking to him face to face and he can't get away. But walking...or in your room...or at any quiet time. I had one girl tell me she prays in the shower - it's the only time she can get away from her myriad siblings. Whenever. Wherever. We know, by faith, that he is always present. It takes us making the decision to be present to him. He did say - no, he promised - "Ask and you shall receive." He is not going to back out on it. It is impossible to say when anything begins. Especially in the Church. The seeds buried in the Gospel send up shoots in one age and then produce bushes in another. So you cannot say that the missionaries orders began in the 1200's, but they surely did take off. Another branch for the ancient tree. Of course there were aberations at the time. There were heresies. (Has there ever been a time without heresy in the Church? It makes sense, since heresy is just missing the mark.) But there were those who preached the Gospel and taught those who went astray. In the early 1200's we find Francis and Dominic. The mendicants. They did not withdraw from the world; they went out and fought it. Hand to hand. Face to face. And the world was changed. Francis of Assisi, free as the birds he loved, mortified as Anthony in the desert, happy as the martyrs at the stake, totally committed to the love of the Incarnate God. He drew thousands - of men, of women and of every walk of life. Not everyone could be a friar and not everyone could live like Clare, but men and women, lay and not, gave everything to follow Christ where they were. 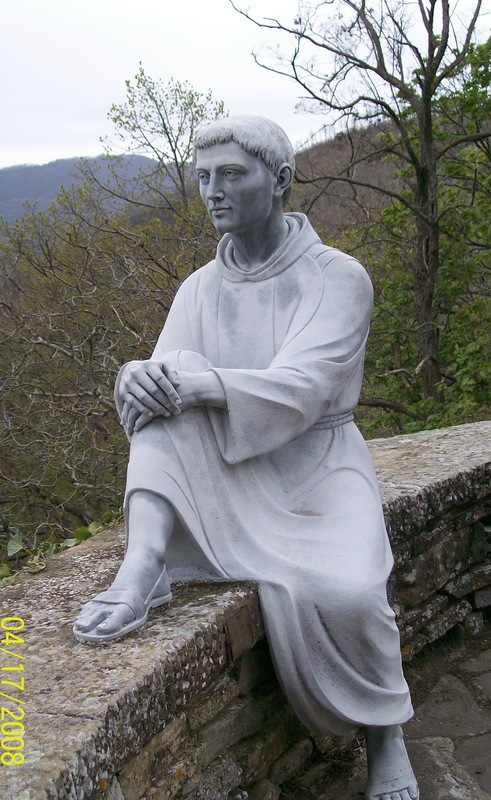 Dominic, hound of the Lord, teacher, preacher, corrector, prayer. His love for the Blessed Mother is legendary. 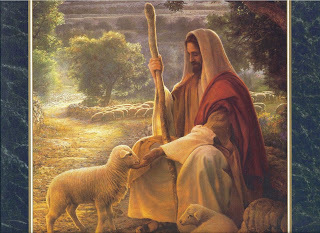 And he went forth to teach those who had missed the mark. Their ways proved infinitely flexible. Their teachers still teach, their poverty still draws, their absolute love of neighbor still teaches us how to serve. And God as continued to raise up those who followed in their footprints. It always happens. In the life of each of us; in the life of the Church; in the life of religious orders and communities. There are the saints, the ones who take the Gospel to the max...and then it falls off. The ideal is there and lived for and given...and then people get tired. And so God begins the process again. 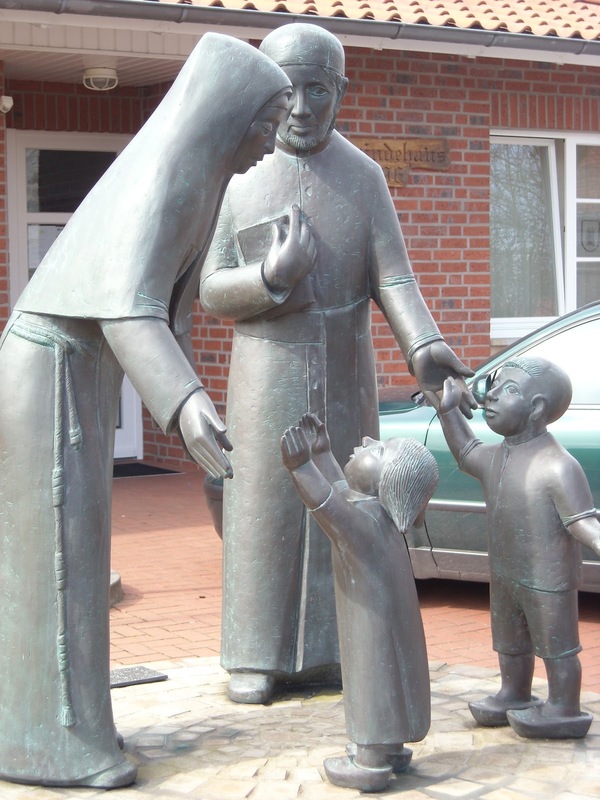 In most cases with religious families, the charism given is still needed for the Church. It's just that those who are living it are...lax or less than the ideal. Sometimes there is scandal. More often, they just lose their edge. So, he gives another person the grace of the vocation, and the order or the community grows again as sanctity is caught and the light given originally flames forth. This happened to the Benedictine order a number of times. 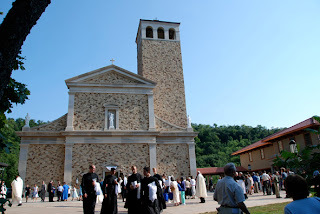 One of the most enduring renewals was that of Citeaux, the original home of the Cistercians. The order was founded in 1098 with the desire of following the Benedictine Rule more carefully. The first three abbots: Robert of Molesme, Alberic of Citeaux and Stephen Harding began the reform, which emphasized self-sufficiency and manual labor. 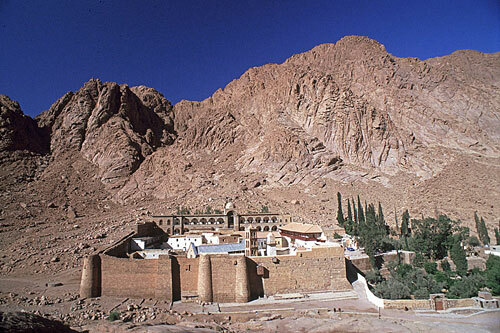 Bernard of Clairvaux joined this monastery early in the 1100's and brought with him thirty companions. The order grew explosively at that time. There are Cistercian nuns also, women drawn to the austere life of the Rule. And continue to do so even today. To live wholly for God according to the Rule of Benedict in a stricter form. 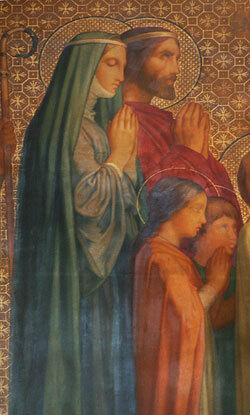 Together with St. Patrick, she watches over the Irish Church. The daughter of a slave woman and a prince, she took the virign's veil from the hand of St. Macaille and made profession under St. Melof. She moved about a bit, eventually building a convent at Kildaire (to give it it's modern name). It became a center of the faith and of learning, for both men and women, eventually developing into a cathedral city. 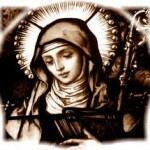 Brigid loved the Lord radically. She did everything in her power to serve him and to bring others to him. In her love, she drew people to love. She brought men and women to the faith; she taught practical skiils; she schooled them in the arts. Everything Brigid did bore the character of excellence. She never settled for half-measures - or allowed less than their best from those around her. She radiated grace and goodness. Rightly, she bears the title "Mary of the Gael." Cannot modern women live as she lived and with such effect? Irish monasticism developed independently of the Benedictine tradition, although it seems that the two merged later in their history. The Celtic peoples sprang from a different stock and their way of living the radical Christian life was...radical. Apparently derived from contact with the monastery of St. Martin of Tours in Gaul and the tradition of wandering holy men, proper to the Irish people, the monastic life of Ireland served for the conversion of the people and their growth in secular knowledge. St. Ninian founded the first monastery in the isles. Tradition has it that he was trained in Rome and served in St. Martin's monastery before returning to his home in modern day Scotland. There he built the first Christian Church north of Hadrian's Wall and founded a monastery destined to influence Irish and Scotch religious life forever. 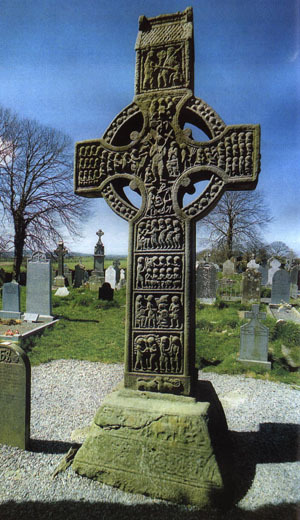 The Celtic people's spiritual heritage included pilgrimage, learning, severe asceticism and the direction of spiritual mentor. The monasteries grew up as centers of learning and holiness as monks and nuns strove to hand themselves entirely over to Christ and to serve his people. 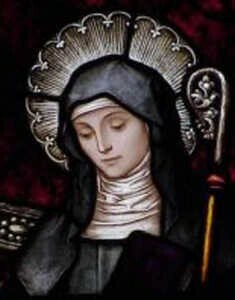 St. Gertrude is one of the better-known Benedictine abbesses in our day. Many women embraced the Benedictine life over the centuries; many became teachers and mystics, healers and saints. They sought knowledge and holiness of life - these two, for so many of them, were inseparable. Gertrude was no different. 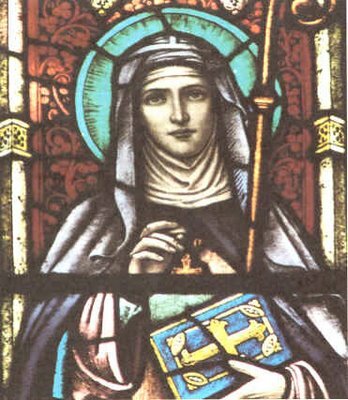 St. Gertrude of Hackleborn governed the monastery at the time St. Gertrude arrived for her education. The child was only five years old, but began a life destined to illumine the Church. She began as a student and loved her studies so much that she later accused herself of sin in this regard. 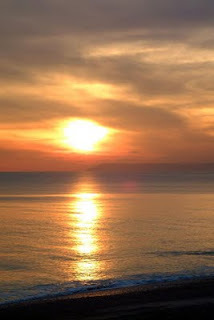 (She thought that she put more emphasis on the study of God than on God himself.) But she loved him dearly. She received visions and illuminations throughout her life and, in her turn, governed the monastery wisely and well. 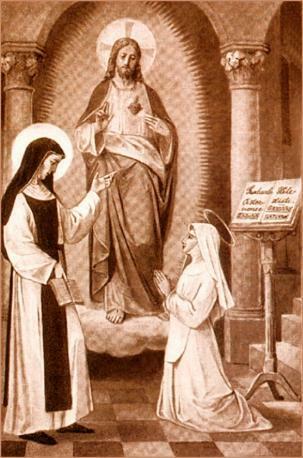 Her strongest devotion was to the Sacred Heart of Jesus (she pre-dated St. Margaret Mary by about 400 years.) You can read more of her and by her in many sources. 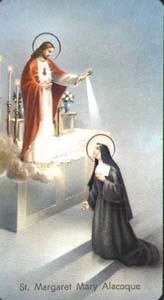 She is yet another of the lights of the Church given by St. Benedict. Today is my day of pilgrimage. I read a story about John Paul II recently. It seems that when he became Archbishop of Warsaw there were very few seminarians. So, he and the Blessed Mother had a "chat." He promised that, for every seminarian she sent, he would make a pilgrimage on foot to a Marian shrine. We, in our day, in the places where we are, face a similar challenge. The harvest is indeed great, and laborers seem fewer and fewer. Well, the Lord said, "Pray." And he always listens to his Mother. So today is my day of pilgrimage. The Shrine of Our Lady of Guadalupe is about three-and-a-half miles from here. Far enough to be a sacrifice and close enough that I don't have to find refuge for the night. The Church needs religious and that is our "job" - praying the Lord of the harvest to send laborers into his harvest. Pray with me that women will hear the call to give their lives to him - and renew the face of the Church in our day. The point of the monasteries, and of religious life in general at this time, was personal perfection. That sounds a bit selfish by modern standards, but really, it is the primary point of life. If you would be perfect... said the Lord, and people have been caught by the challenge since the beginning. We all admire those who give it everything: the Olympic athletes, the founders of amazing businesses, the actors and actresses who perfect their art. The monks and the nuns took the challenge of holiness and ran with it. They said, "To be the best of the best is to be wholly given to God; we'll do it." Deny yourself? They did penance. Leave everything? They lived in deserts or walled houses away from everything. No personal property. No earthly loves. Give it all you've got...to God. Funny, you give everything to God and become the most perfect you can - and all the world benefits. Not so selfish after all. St. Cunegundis - the name brings back memories. 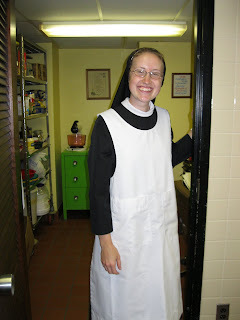 We have had a number of Sisters who took her name and, when I was a postulant, still discerning my religious name, we used to laugh about being "Sister Cunegunda." If only I'd known her, it might not have been a joke. 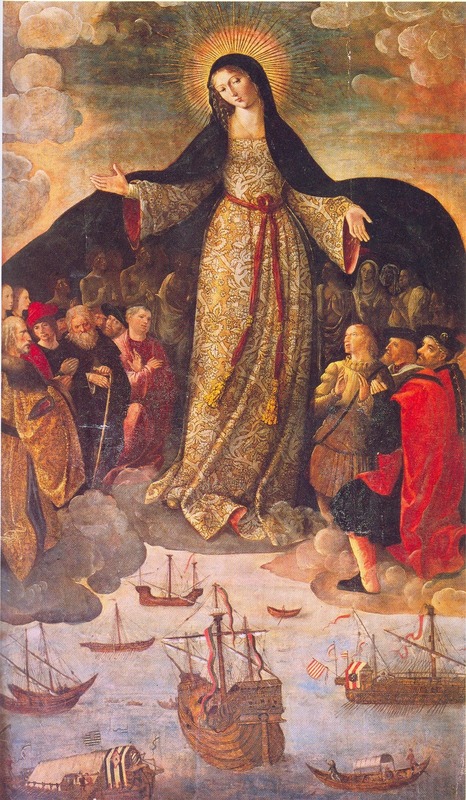 Cunegundis joined the Benedictine order several centuries after the women featured in the last few posts. She lived about a thousand years ago. Born in Luxemburg, she married Henry, Duke of Bavaria, as a young girl. 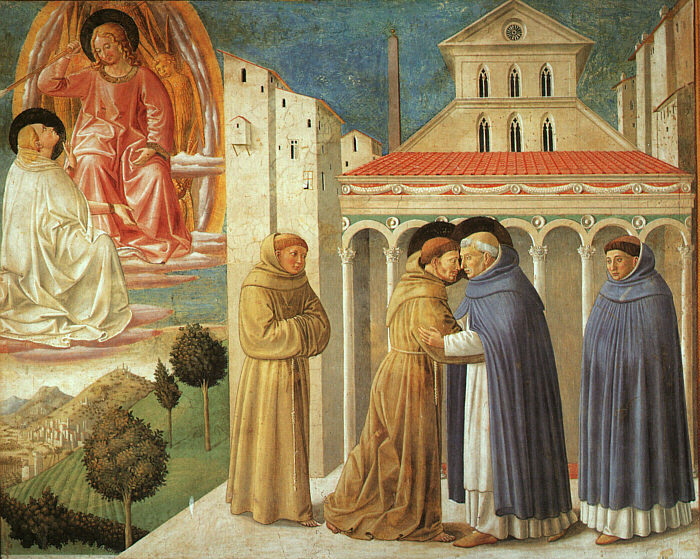 Her husband, a man (as St. Francis used to say) "of noble birth but even more noble a nature" gave her permission to keep the vow of virginity which she had made before their marriage. When Otho III died, Henry was chosen Emperor and the young couple moved to Rome. She had a tough time there. I suppose they weren't used to women of such purity, so people accused her of all kinds of awful behavior. (She can't be that good!) God decided to work a miracle in order to prove them wrong - although I could not find the full story on why she chose to "walk over pieces of flaming irons" to prove her purity of life. It made her husband happy though. Her husband died in 1024. As a widow, she built a monastery for Benedictine nuns and, after its dedication, took the veil and lived the remainder of her life according to the rule of St. Benedict. She pursued prayer, manual labor, humility and grace. Cunegundis typifies a life wholly dedicated to God in every circumstance. As a girl of her times, she exercised no control over her state in life, but saw in every situation the providential hand of our Lord. For those of us who live in mixed-up times, that's a good lesson to learn. Each situation can give us a place and a way to praise God. It may not be easy or simple or pleasant, but we have full opportunity to become saints. St. Eanswida. They have such strange names for people of our time. It makes them sound so remote. If she were "Meghan," for instance, we could probably relate to her more easily. The name carries a whole culture in its wake. 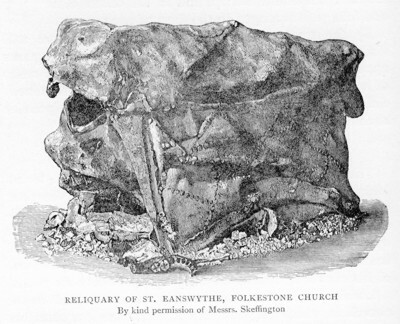 St. Eanswida was born early in the 600's in what is now Kent in the United Kingdom, "the land of the Angles." Her grandfather converted to the faith at the preaching of St. Augustine of Canterbury, but her father steadfastly resisted. She patiently endured his pagan practices - and his insistence that she marry, but, as daughters will do, managed to get around him. 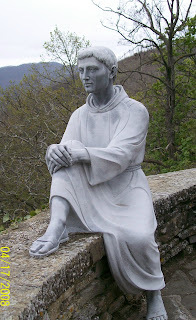 Eventually, he allowed her to become a Benedictine nun and founded a monastery where she lived her life in prayer and work, serving God according to the way of St. Benedict. 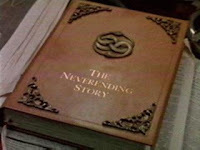 There are twists and turns to her story, which is written much better by others. The Roman Catholic Church celebrates her feast today. 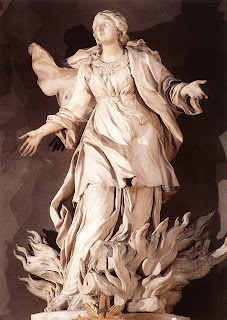 She gives a shining example of one who desired to live a religious vocation in a pagan society - and persistently hung on to that call in the face of all opposition. St. Adeltrudis or Waltrudis or Waltrud, depending upon the country, is a remarkable woman in many ways. She is a model of women in every state of life - and one we might emulate to the great good of those around us. She is, in keeping with our recent theme, a Benedictine. Born into the nobility in what is now Belgium, she married Madelgaire, the Count of Hernaut. This good marriage produced four children. Like so many of us, her life appears unremarkable - there are no anecdotes related of her life, no extensive biographies detailing her inner struggles and triumphs. Nothing. Except the legacy of a family. St. Adelgundis carries the distinction of being the daughter of a saint, St. Bertille, and the sister of St. Aldegondes. She herself (as I have already revealed) is a saint. Her husband, a devout and responsible man, became a monk after their children were raised. The Church honors him as a saint. Adeltrudis founded a Benedictine monastery not long after he left the world and entered there as a nun. All four of their children became saints. Wives and mothers have a powerful influence in the lives of their husbands and children. When we say "heart of the home," it expresses something intangible yet real. The woman gives life on so many levels that it defies categorization. But mothering saints; leading the man in your life to holiness - and then, having fulfilled the responsibility given, turn your heart entirely over to God in the cloister. Truly a model for every feminine vocation. St. Scholastica was the sister of St. Benedict and the inspiration of the monastic communities of women who follow his rule. There is very little known about her life. Tradition holds that she was his twin; Pope St. Gregory records that she dedicated her life to God at a very early age. The story that St. Gregory tells of her inspires all of us with hope and trust in God. It appears that Benedict and his sister would meet yearly and speak together of godly things. On one occasion, near the end of Scholatica's life, such a meeting was drawing near to its end and Benedict rose to leave. She asked him to stay, that they could spend the entire night conversing about God. He refused, rather strongly it seems. She then folded her hands, laid her head upon them and prayed. Such a storm rose that Benedict and his companions could not stir outside the hermitage. She answered that she had asked him and he refused to listen, so she asked her Lord and he did. How was Benedict supposed to reply to that? They finished their conversation that night. 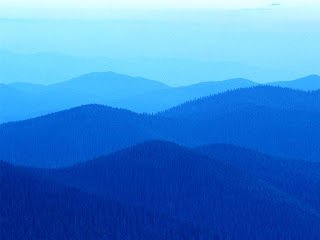 Our second blog, Musings, dedicated to prayer helps, is up and running. It will be published weekly, with additional helps as the weeks go on. St. Benedict's Rule started like a seed. He wrote it at Monte Cassino and gave it to those who desired to live his life. After his death, like the seed that sprouted, those formed by the Rule began to move on to other places. Pope St. Gregory commissioned Benedictine monks to evangelize the Angles in England and from the local monastery of St. Andrew, forty monks, under the leadership of St. Augustine, set out to fulfill this mission. Interestingly, they wanted (very much) to turn back, terrified of the barbarians to whom they were sent, but the Pope insisted. They went on to found the monastery at Canterbury. The Rule spread rapidly, adapted as necessary to the time and place. It brought the Gospel to those living in darkness with gentleness and persistence. 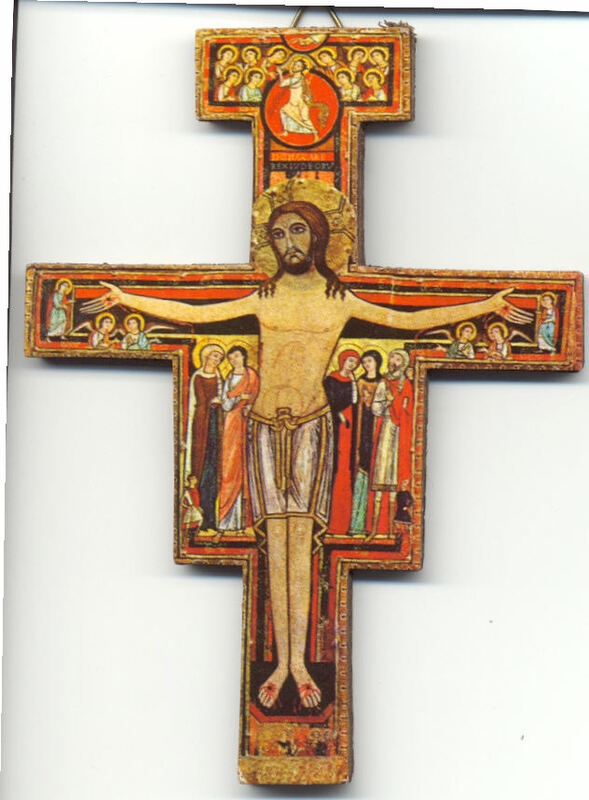 The people learned from the monks how to follow Christ in well ordered lives. The times then were much like ours - disordered, unfaithful, set on this world. The light of Benedict may well be an answer to the question: How do we find God? It is the way of Christ. 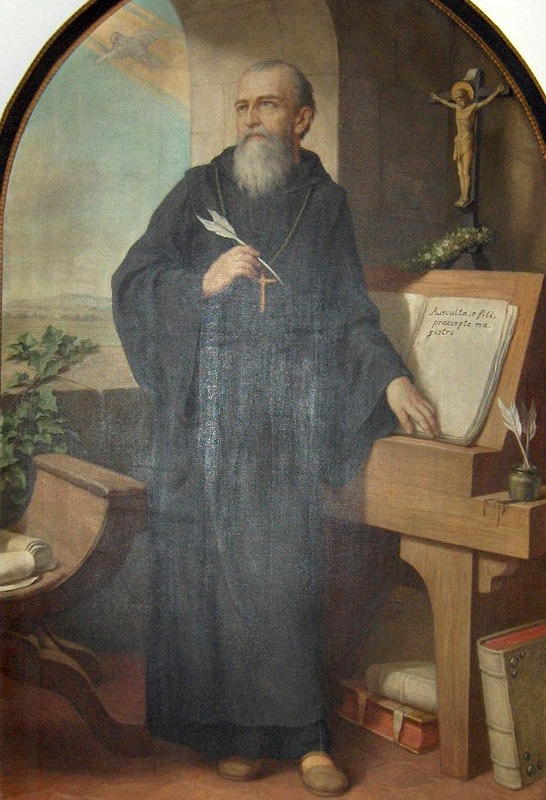 The Rule of St. Benedict, the backbone of Christian religious life in the West for centuries, prescribed a life in which one could safely and surely live for God. Monasteries of men and women sprang up as those who sought to live in holiness flocked to this "new way." It laid down the steps one could take to come to Him. And it worked. Those who lived the life generously are some of the great saints of the Church. Women and men evangelized the world, taught secular knowledge, and civilized the new peoples coming into Europe after the fall of the Roman Empire. But their eyes were set on heaven as they did good on earth. It is still a strong current in the Church today. The way of Benedict draws young men and women to serve Christ in a life of prayer and work, stability and silence. Even in the turmoil of the Church in our day, this ancient way puts forth new shoots for the glory of God and the salvation of souls. 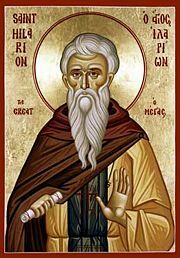 St. Pachomius, St Basil, St. Anthony of Egypt: each of these in his own way shaped the early years of religious life. 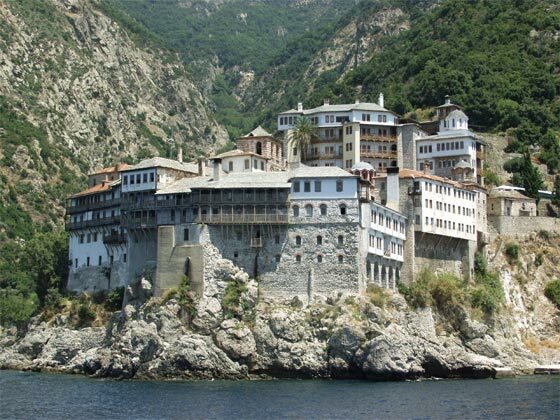 They were the earliest founders of monastic communities - places where those who wished to follow the Gospel of Christ could live out their desires more securely. They looked at the teaching of Christ and wanted to live it out with heroism. And they did. Austerity, sacrifice, poverty, obedience, these men wanted to give everything and they did. It was an extreme form of life. As in so many things, over time it needed a balancing hand. The drive to perfection, without guidance, often did not turn out as well as the beginner hoped. 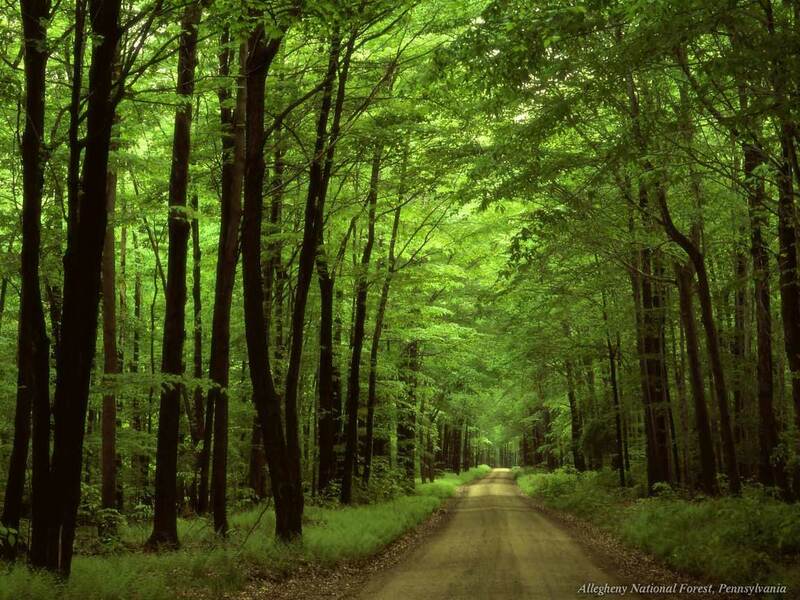 In seeking to be holy, there are many false roads. 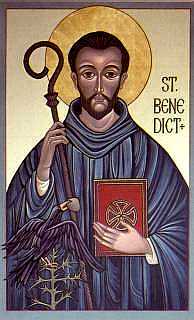 And so, after many years, God raised up St. Benedict of Nursia, the man now known as the founder of western monasticism. His rule guided the development of religious life for centuries and remains strong today. "Pray and work" was the cry that brought men a stable form of life. 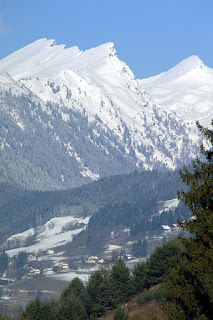 Those seeking to be holy could come to the monastery and learn a way to come to God through prayer, silence, hard work and appropriate penance. So wise was his way that men and women flocked to it over the centuries. It held on to past knowledge and lived a practical Christianity that saved Europe after the fall of the Roman Empire. 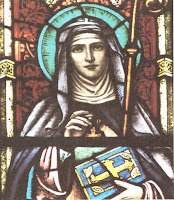 Benedict's sister, St. Scholastica, adapted his rule for women. She began the tradition that led through the great European monasteries for women. These became places of learning, healing and hospitality where women who sought to follow the way of Christ could give themselves wholly to following him. The names are odd to us: Gertrude, Hildegard, Elfeda, Mechtild, but these taught women how to come to union with Christ. Because their eyes were fixed on heaven, they exercised enormous influence on earth. In the early Church, again just after the age of the martyrs, there appeared another trend: the desert hermits. Men, generally, although not exclusively, who desired to live wholly for Christ - and to get away from the distraction of the world - went into the desert to live a life of extreme austerity and prayer. Living chastely and poorly, they gave themselves up to the service of the Gospel. And became saints. It always happened - it still does. The holy man, the holy woman, attracts people. They see the profound beauty of a holy life and "want some of that." So, the desert hermits had a very difficult time staying hermits. Others came out to ask the holy man to direct them, to teach them how to come to God. So these holy ones began to direct others in their lives. Thus did the vow of obedience have its earliest beginnings. The desire to come to God led a man or a woman to say, "I'll do anything you say - just help me become a saint." They would bind themselves to follow the holy person in order to attain God's will. Over time, this too stabilized. The Church blessed it, directed it, made it firm. The vow of obedience has as it's immediate end the overwhelming desire to do God's will. It is the desire to be a saint - and the knowledge that I am really good at rationalizing. I am an expert at looking at what I want and canonizing it. Rather than that, I choose to do the will of another. That other has been elected and is directed by all kinds of safeguards. I can know that by doing something ordered in "Holy Obedience," I do the will of God. He is ever faithful and accepts my vow. He will use it to make me the saint he calls me to be. Why would anybody want to be a religious Sister? You give up everything...and what do you get in return? I have had countless people ask the question: "How can you???" and usually chastity is the big question. If you stop to think about it, obedience is the more profound sacrifice, but people see chastity and shudder. It is always the first and biggest question. It's about love. And it always has been. It's about loving someone so much that you give him your life. It's about loving "someones" enough to lay down your life for them. It really is all about love - otherwise we would never do it. In the beginning, the heroes were the martyrs. Actually, if you think about it, they still are. We admire those Christians who give everything, up to and including life itself, for the faith. Martyrdom has always been with the Church, and it has resurfaced in our time all over the world. Those are the real believers - the ones who are heroic, the ones who give it all. But we don't all have that opportunity. We may yet, but in our space and time, it is not so likely that we will be called upon to die for the faith. The heroism, the desire to give everything is still there - and it has always been in generous Christian souls. The desire to lay down your life. And so religious life was born. Almost as soon as there were Christians, there were virgins. 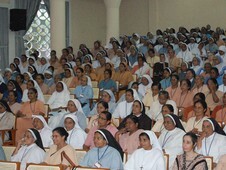 Women who consecrated their hearts, their love, their bodies to Christ. Living a life of vowed virginity, they prayed and gave witness to a life without end. Their lives bore fruit for the Church through hidden love and sacrifice. In most cultures people misunderstood such a life - and so were born the virgin martyrs, the women who died rather than surrender their consecrated chastity. Their heroism amazed a world. These women and girls led the way to what is now a stable form of life in the Church. 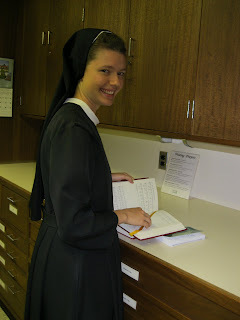 Women vow their virginity to God and live a life of sacrificial love and prayer - joyfully. For love is always a happy thing. The plan of this endeavor is to alternate between posts on prayer and the development of one's personal life with God through formal prayer time and posts on religious life, its history and the discernment of a religious vocation. So, for a bit, we'll turn our attention to the latter theme. 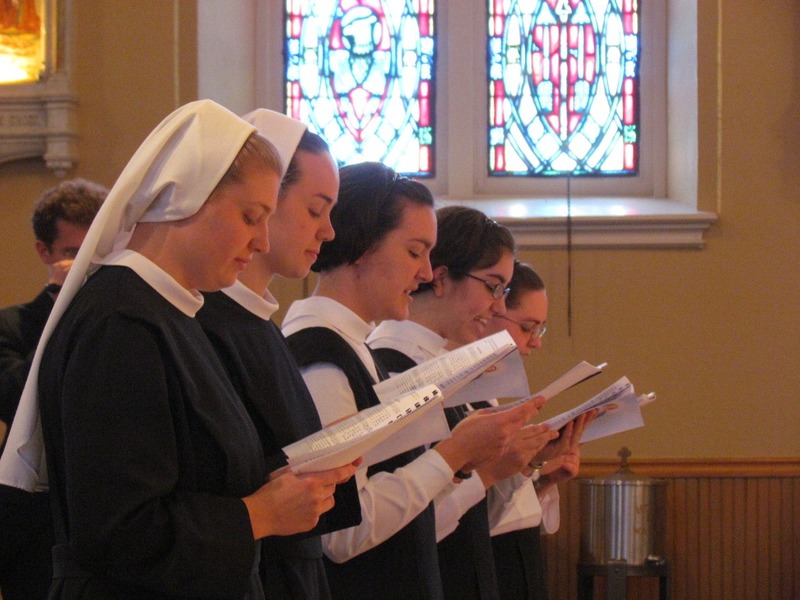 What is religious life? In the context in which we are speaking, I mean. "Religious life" can mean any number of things to any number of people, but in the Catholic Church, east and west, it has a specific defined meaning. It is a stable form of life, characterized by public vows, usually poverty, chastity and obedience, following a common rule of life, wholly dedicated to the sanctification of oneself and the love of neighbor. That's really general. In a certain sense, it has to be, because the "regular" religious life in the Church takes myriad forms. We are not concerned with everything here, although I will touch on the general history so we can get some context; we will look at women's religious life and, specifically, the forms in which it finds itself in the United States today. This is a practical work after all. Neither is this a controversial series. There have been numerous trends in religious life in the last forty years or so, and a lot of uncharitable conversation. Not here. It is just the presentation of what is "out there" right now: what is the lived experience, what are the options. Of course, this is all colored by my experience and my opinions - it's not possible, or even desirable, that I am textbook objective. (Boring!) But I respect people and know that many seek God in many and diverse ways. I pray (fervently) that that respect comes through. Such is the kingdom of God. Once we have a schedule, the next hurdle is perseverance. There are a thousand reasons why prayer will seem tiresome, unproductive, less-than-optimal. Resist such thoughts. You made the choice to pray (and yes, it was a good choice). You thought it through. You came up with something that works for your schedule. Now stick to it. A bit of energy is helpful. So is refusing to give ground. When the first thought of "maybe I should be doing..." arrives at the doorstep of your heart, throw it out. You have made an amazing choice, rational, reasonable. Be firm. The other things are just temptations and distractions. Rhythm, routine, going deeper...these things are essential for a deep and stable life of prayer. Coming close to God is like any other relationship, worthy only in the long haul. So fight the good fight...with energy. So, all that being said, create a schedule. Do it prayerfully, thoughtfully, practically, but make one - and write it down. I find it helpful to keep a record, a daily record, and you can do it any way you like. Again, this is not something to be rigid about, but it is important, and building new habits is not easy. So come up with a format to record what you want to do and then how you do it. A sample page of my own is shown here. I set them up at the beginning of the week. The top of the page is for the day's schedule - and I keep it kind of loose, because my days get interrupted. The bottom left is for a record of the morning meditation and prayer periods of the day. The bottom right is for the examination of conscience from mid-day and evening. It gives direction. But it does not have to be that format. This is something that I have come up with that works for me - and it is still a work in progress. The form really does not matter; having one is good. We all feel it. The younger, the older - and everyone in between. We're too busy to pray. Someone once said to me, in an entirely different context: "You will do whatever you really want to do. If you want it, you'll make time for it." That was the end of my excuse. Now, if I don't do...whatever, including pray, I can only say "I didn't want it badly enough today." Now, it's a common problem. We have commitments. We have studies and work and family and hobbies and... and where does God fit in? Is he the last on my overfilled to do list? So why is it that although "I want to" "I don't want to"? It's a good examination of conscience. But not really something about which to beat myself up. Rather, the better way to do it is to increase my desire and my commitment. The desire, well we need to touch God and then we will want to be with him always. The commitment? It's a choice and then a choice chosen to be acted and then acted again - until it becomes habit. It is a necessary habit, if we want to know what God wants for our life. But it should be entered into with creativity. Play with it. Find a time and a space and a place for real prayer. For you. And then choose, and choose again to do it. 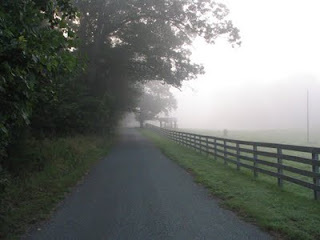 Reflecting on Psalm 139: "O God, you search me and you know me..."
What does that mean in my life? How does he know me? How do I know myself? How do I want to get to know him? In what way do I pray? 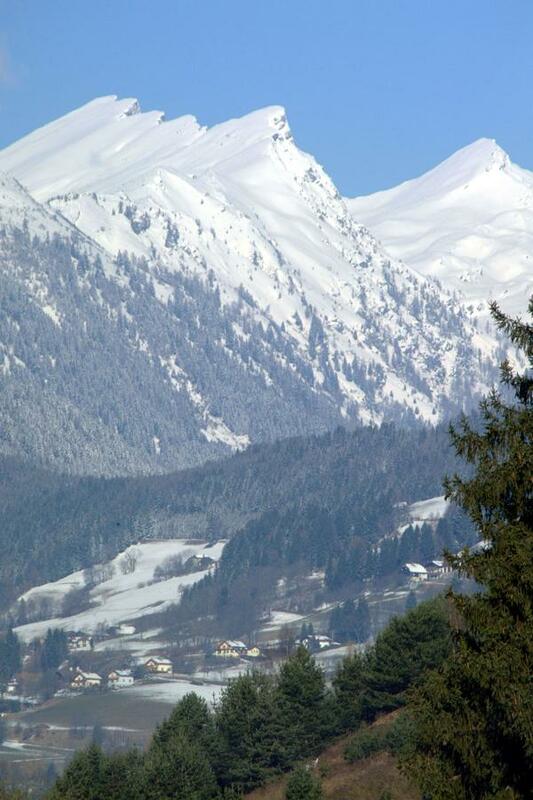 What surroundings - where? What time of day - when? In what manner do I best pray? Structured prayers (Rosary, Mass...)? Unstructured prayers (time before the Blessed Sacrament, walking outdoors...)? How much time do I devote to prayer each day? How much would I like to give to prayer? Practically speaking, what will work with my schedule? Reflection, prayer, perhaps a bit of writing can help to make things more clear. The spiritual life takes discipline. It means being able to be in communication with the Lord no matter when or how we feel or where we are. And that's not easy. So, like anything else worthwhile, it takes practice and commitment and a bit of sweat. A schedule, a rhythm, can be immensely useful. We don't want to create something so rigid that all it induces is rebellion and discouragement, but neither do we just want to float on the ever-changing "Do I feel like it?" Not if we are serious about it. Finding the right rhythm takes practice. It is not the same for everyone. It needs to mesh with our other obligations, for one thing. Work, school, family - these things all demand a certain part of our time. And that's fair. But there is a trap here. It's the "I'm too busy to pray" syndrome. We are all too busy to pray. For whatever reason, we always want to put prayer last on the list of things to do. So we need to come up with something that works, is doable, but also constitutes a real commitment to daily prayer. The photos are in. Those which follow are only a sampling. Visit our community website for more information or the House of Formation Flickr page for more images. Today is, in my opinion, one of the highest feasts of the Church. I am sure the Blessed Trinity does not feel slighted - she is after all his most blessed work. To honor our Lady is to honor the Father who loved her, the Son from whom she took our nature and the Spirit who made her his most pure spouse. Granted, the feast does have some serious personal meaning: it is traditionally the Profession and Reception Day in our American Province. And today is no exception. 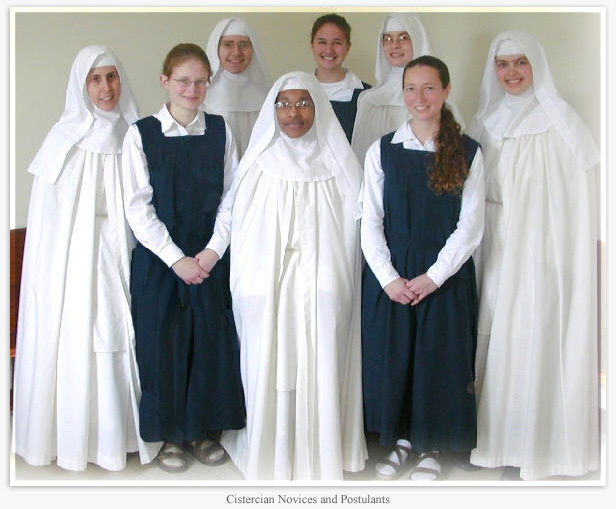 Two Sisters will profess First Vows and three postulants will be received into the novitiate. It is a day of rejoicing, commitment and glory. 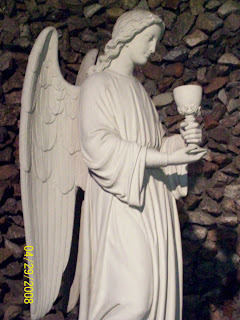 This post is brief because I hope to do a bit more after the feastday Mass. Pictures always tell the story more easily than words. Stay tuned...and pray for our young Sisters. As we have said, the purpose of self-examination on a regular basis is not morbid. It's not an exercise in self-destructive nit-picking or an engaging way to enter into discouragement or depression. No, the purpose is positive. We want to grow into the most beautiful soul we can be, and that requires a good look at the stains and smudges that obscure the lovliness of the child of God. The general examen really prepares us to unburden all of our sins in the Sacrament of Penance and Reconciliation. If the examen finds the dirt, confession washes it away. It can be a bit overwhelming to prepare for confession when you have not been for a while. Later on in these pages, I will tell the tale of my second confession. It should console anyone who has the hebbe-jeebees at the thought of plunging into confession. So, if you are out of practice, I have included a link to a fairly standard and comprehensive general Examination of Conscience. This is only for the general examen; remember that the particular examen takes only one, or at most, two points. Later posts will take up the topic of confession, but this will get started anyone who is looking for a help to begin now. The particular examen faded somewhat in prominence over the last forty years, but it is the true training of the spiritual athlete. Like the wrestler who weighs in or the runner who anxiously checks her time, the particular examen is the daily inspection. It moves us forward. Often it takes place at a different time than the other examination of conscience: one at midday, the other in the evening. It's purpose is distinct from that of the general examen. 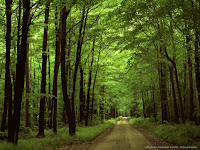 Here, we are not so much concerned with staying on course in general, but on honing a particular virtue or good habit. So in this exercise, we pick one particular area in which we need to grow. (It's usually really easy to figure out what it is!) Break it down. How can I practice this virtue or habit in the day to day? And write it down. Putting things on paper and referring back to them is the best way to be accountable when working alone. Place myself in God's presence. take up my notebook and look at my resolutions. Examine carefully how I done in the past time - how many times have I succeeded? How many times have I failed. Write it down. Express gratitude and sorrow to God - gratitude for his help in all that I have done well; sorrow insofar as my failures keep me from freely serving him. Plan for future action. How can I energetically take up the challenge in the next period of time? What are my likely obstacles? What are my likely helps? Ask God for his grace to continue to grow in this area. Be specific. First, the particular examen can be to fight a particular sin in my life. If I have a problem with gossip or glutton or keeping my temper, I can use this means to work my way out of that snare. More often in the lives of those seeking God, the particular examen is used to grow in a particular virtue. I may want to take more time for prayer or go out of my way to be kind or listen to others more attentively. Unless the particular examen is concerned with overcoming a particular sin, the sorrow here is not necessarily contrition. It can be more a sorrow for failing to be the transparent child of God I am called to be. Second, the particular examen, like all examinations of conscience, is not to become rigid or discouraging or hurtful. The best test of growth in virtue is a sense of joy and freedom. That does not mean that it will be easy. Working against our ingrained habits can take as much internal sweat as training for a marathon, but it should not induce sadness or anxiety. That is a sure sign that there is something not quite right. We are called to the freedom of the children of God. Both the general and the particular examen are means to grow in grace and freedom and joy. They are the moments when we check out internal GPS to make sure we are still on the road to God and adjust our actions to stay firmly in the path of virtue. In the post below, we looked at a method St. Francis de Sales recommended for a general examination. There really are two ways to examine one's conscience - particular and general. Each supports a different kind of growth in the spiritual life. Both are necessary. 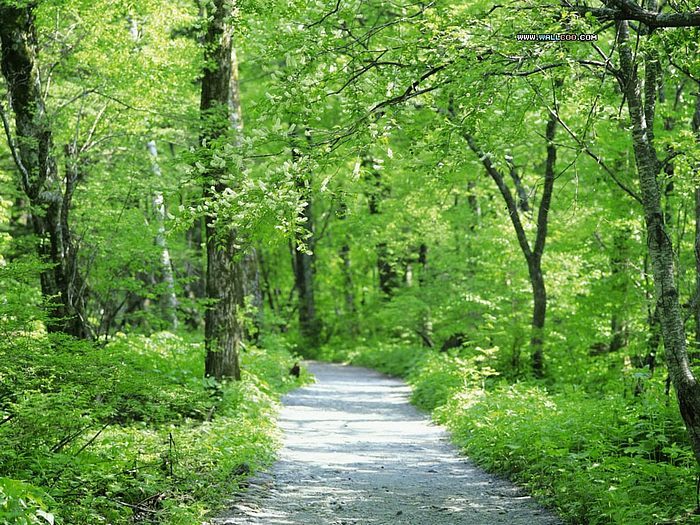 The general examination of conscience, which we make daily, is essential to keep the whole person moving in the right direction. It gives us a view of our life - a global vision of where we stand before God. Every action is placed before his throne and bathed in his light. And it is essential. It's like standing in front of a full-length mirror, looking at all the details, before we go into an important interview. It wouldn't help much to make sure that no hair is out of place if we're wearing mismatched shoes. Similarly, it wouldn't make much sense to check the sleeves and cuffs, if the collar is torn. We need to look at everything regularly. In this examen, we look over the entire day, the big things, and some of the little things - the ones that stand out - and see that all of it remains moving toward God. There is another type of examen, with a different purpose. That is another tale for another time. Athletes test themselves all the time. Those who run for the Olympic gold train ceaselessly and attentively examine their progress day by day. 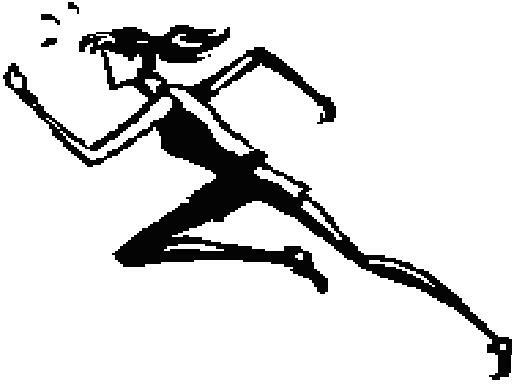 In the spiritual life, St. Paul compares us to athletes on several occasions. 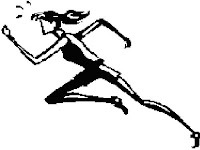 We run a race that has eternal consequences - and we really want to win. So testing, examining, finding the best way. This is not a morbid navel-gazing under the stern gaze of an angry God who will punish the least flaw. No, it is the desire to live with him and for him to the very best of our ability - and even beyond. Examine. It is good to have the right attitude. It is easy to fall into a "rule" mindset. You know, "how much can I get away with without breaking the rules?" "How much can I 'cheat?'" The idea here is that we are entirely free. As long as we're not choosing sin, we have freedom to choose the good. We want to be saints. It is not enough to be "good." Goodness is good, after all, but why not make our lives "something beautiful for God?" Spiritual athletes need to test themselves all the time. The ancients knew that self-knowledge was the most important and the most difficult to obtain of all the sciences. It's not that we don't know ourselves; it's that we don't want to know ourselves, not entirely. We want to look good, so that other people will love us. We even have the bizarre notion that we have to look good so we can earn the love of God. No, it's not just you. Every single one of us has this deceptive interior bent. So we hide from ourselves and when a well-meaning (or not so well-meaning) person points out one of our faults or foibles or sins or flaws, we grow bitter, agitated, hurt, angry. It's been called pride. But it's pride running scared from being not loved. Humility has been called truth. That is good. I prefer "resolute adherence to reality." It is not easy to walk in the reality of myself, but it's really pretty amazing once we realize that we don't have to be perfect. God really does love each one us, as we are, and it's his job to make us good. He can only do that if we're willing to admit that we've not yet reached the summit of perfection. So the examination of conscience. Begin simply. If we seek the truth, we don't have to be complicated about it. Thank him for the many gifts he has given me today. 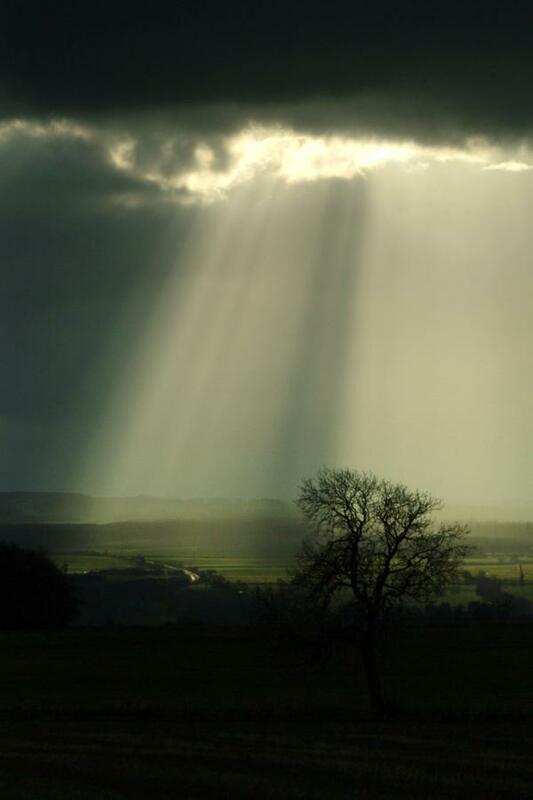 Ask him to shine the light of his grace on my day and highlight the areas which he wants to examine. Talk these things over with him; give thanks for the good; repent of any sins. Perhaps make note of them in a spiritual journal, particularly if there is something I want to remember for my next confession. Plan how to avoid the sins and how to extend the good. Pray, fervently, for his grace to firmly and enthusiastically put my resolutions into practice. We can examine ourselves at any time and in any place. It is best to fix a time of day to do so. If this is a new practice, some help may be needed at first. Remember, any step is a good step as long as we keep moving forward. It is a great grace to know thyself. And now, day is done. We have walked through the day with more or less success. And before we retire, it is a good practice to stand before the Lord and place all of it back into his hands - the good, the bad, the tears and the laughter. All of it. Without exception. St. Francis de Sales, to who we currently look for guidance has some practical tips for this time before bed. We thank God for having preserved us during the past day. We examine how we have behaved ourselves during all the hours of the day; and in order to do so more easily, we consider where, with whom, and in what we have been employed. This can either be chronological: hour by hour, or in other ways. We can consider the different things we have done, or the people we have spent time with and how those relationships went. We can look at it in any way that is most practical, but the entire day should be considered. If we find that we have done any good, we thank God for it. In considering human nature and its tendencies, every good that we do is a great gift. It is right to thank God for every good action that we do, since we could have chosen to do the opposite. 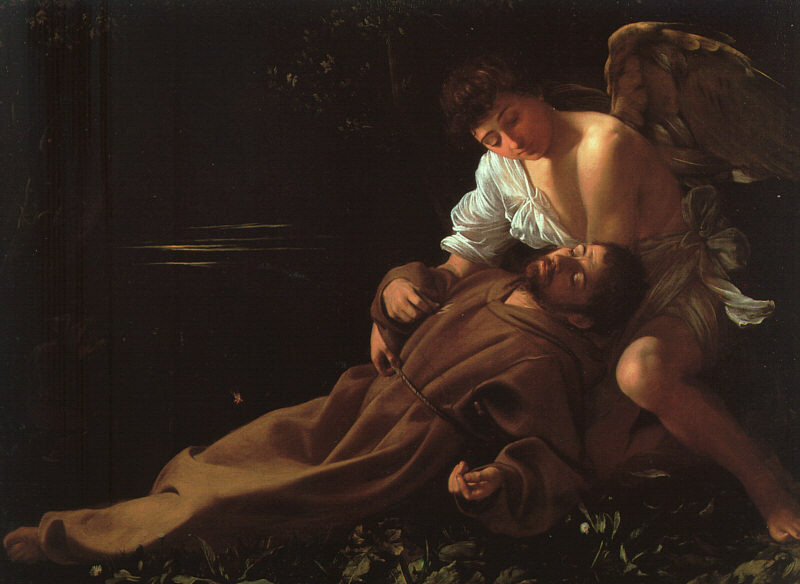 Notice, too, that St. Francis asks us to look first at the good that we have done. For one who is striving to do good and come close to the Lord, the examination of conscience is a hopeful, forward looking thing. If, on the other hand, we have done evil in thought, word or deed, we ask pardon of his Divine Majesty, with a resolution to confess at the first opportunity and carefully to amend it. We will talk more about Confession later. For right now, it is sufficient to note that mortal sins must be confessed and we are encouraged to confess venial sins, especially the stubborn ones. The firm purpose to amend our lives is very important. Otherwise, we tend to wander around in a fog, never making progress. 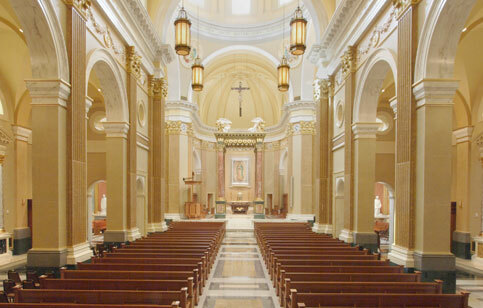 After that, we commend to the care of Divine Providence our body, our soul, the Church, our relations, our friends. We ask Our Lady, our good Angel and the Saints to watch over us and for us. And then to sleep. In peace. For we are most dearly loved. It's so easy to get caught up in thinking and pondering and trying and working....so this is a break from the norm, just for fun. Sister M. Luka's Nameday - does this look like October? 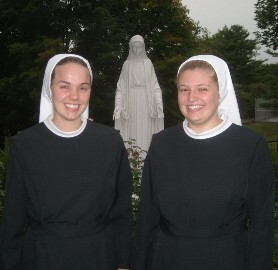 Sister Mary David and Sister M. Ancilla - we like to be outside - can you tell? I found this and forgot that this is how we all looked in mid-October. I had mentioned a wish to see the view from the bluff, so they kidnapped me for a picnic. So it was almost freezing - who cares? We laughed a lot. Sister Mary David's Nameday is in April. Things were much more promising for an outing. Just because I like angels. And our young Sisters are on retreat. They make first vows on August 15th. This is the day the Lord has made. Let us rejoice and be filled with all gladness.